The American Society of the Italian Legions of Merit (ASILM) has re-elected New York Supreme Court Justice Dominic R. Massaro to an unprecedented third two-year term of office as its president. His re-election will make him the longest serving Society president since its founding five decades ago. ASILM is one the most exclusive Italian American entities in the U.S. - - its members are qualified on merit by the Italian government and each is conferred with a decree of knighthood by the President of Italy. Headquartered in New York City, ASILM is comprised solely of those 600 individuals residing there who have been so decorated. It engages in chivalric, diplomatic and beneficent activity in furtherance of the friendship between the United States and Italy. 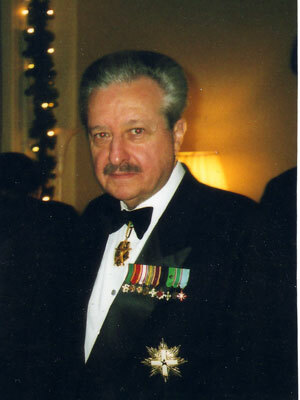 Justice Massaro is one of only a dozen Americans of Italian descent to hold Italy’s highest decoration, Cav. di Gran Croce della Repubblica Italiana. Judge Massaro currently serves as a director of the Casa Italiana Zerilli Marimò at New York University; of the Italian Government school for North America, La Scuola d’Italia Guglielmo Marconi; and of the Fiorello H. La Guardia Foundation, all in New York. The American Society of the Italian Legions of Merit serves as the chief reference point in the United States for all links between the chivalric world of the Italian state and its decorati residents here. Now in its fifth decade, the Society is comprised exclusively of those individuals who, because of some personal quality or the rendering of some special service, have been decorated by the Republic of Italy. The decorations are conferred in one of five Order of Chivalry awarded by decree of the President of Italy (who by virtue of office is “Head” of all Italian Orders), each internationally recognized as rooted in the umbilicus of Italian history and as a prerogative of Italian sovereignty. Founded on the basis of strengthening the traditional bonds of friendship existing between Italy and the United States, the Society is national in scope, international in spirit, and functions at the highest levels of the chivalric, diplomatic and beneficent arenas. Historically providing financial assistance to a wide range of cultural and humanitarian endeavors both here and abroad, its prestige as a pre-eminent institution, headquartered in New York, ranks the Society as an important American situs for focusing the shared interests of both nations to a wider audience.